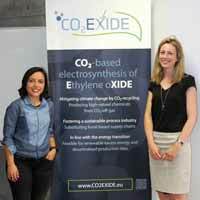 www.CO2EXIDE.eu is the official website of the CO2EXIDE project (Grant Agreement 768789). 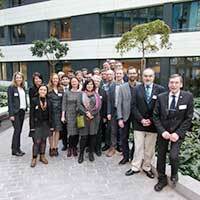 The information has been supplied by the members or partner organizations of the CO2EXIDE project. All title and intellectual property rights including, but not limited to, trademarks, copyrights and any copies thereof in whatever form, are owned by members or partner organisations of CO2EXIDE or and/or by other parties, and are protected by the applicable laws. Except where otherwise noted, all site contents are: © by members or partner organisations of CO2EXIDE – All rights reserved. The content of this publication does not reflect the official opinion of the European Union. Responsibility for the information and views expressed in therein lies entirely with the authors. Sometimes linked to external sites over which the CO2EXIDE consortium has no control and for which the CO2EXIDE consortium assumes no responsibility. It is our goal to minimize disruption caused by technical errors. However some data or information on our site may have been created or structured in files or formats that are not error-free and we cannot guarantee that our service will not be interrupted or otherwise affected by such problems. The members or partner organisations of CO2EXIDE accepts no responsibility with regard to such problems, or the consequences thereof, incurred as a result of using this site or any linked external sites. The graphic design and technical implementation of this website is powered by the EPC gGmbH – EPC project corporation for Climate. Sustainability. Communications. from Berlin. For technical problems please get in contact with the webmaster.